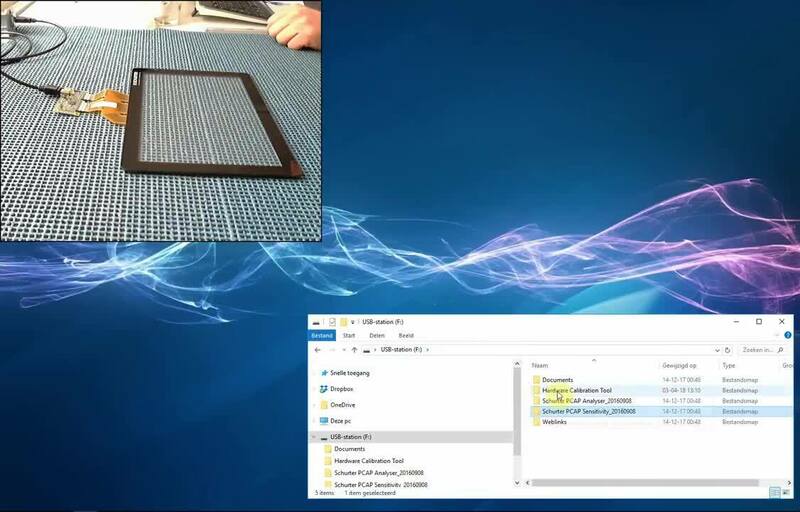 SCHURTER's engineering TouchKit is a professional maker kit in the form of a PCAP touchscreen for users to experience the advantages of PCAP technology first-hand. This TouchKit contains a plug and play 10.1” PCAP touchscreen sensor with a SCHURTER controller based on an EETI chip. The software for analyzing and evaluating the controller data is included on a USB stick. A stylus pen is also included and enables the user to experience the extensive functions of the touchscreen and to perform tests with and without the stylus. This complete kit gives the user the opportunity to become familiarized with PCAP. Notable features offered in the TouchKit include multitouch capability and simultaneous operation detection of up to 10 fingers. It can be operated with or without the accompanying stylus pen, which offers high-accuracy and pressure measurement. However, palm-touch is not recognized as an operation or as an input. The TouchKit screen is resistant to moisture and can be wet without detecting an unintended touch. It will also continue to function in low humidity. The controller is designed to switch off the sensor in the event of large quantity water exposure. The touch controller is immune to interference voltages in the form of wave fields up to 10 V/m or wired up to 10 VRMS. SCHURTER has a wide range of industrial displays and standard touchscreens for HMI integration and also manufacturer customer-specific PCAP sensors. The engineering TouchKit introduces a sampling of SCHURTER’s touchscreen capabilities.